Hunting is very famous in the US. Around 6% of Americans approximately consider themselves hunters. According to a Survey report, total hunting spending forms $33.7 billion. Which is a little less than the GDP of Slovenia. No question there that hunting is one of America’s favorite hobbies. Contemporary hunting relies on New Product Development Process as much as on experience. Below we have listed innovative products that have also shaped the hunting industry. Read below to find about inventions that shaped the hunting industry. In hunting, it is very important to know how far is the target. Before, people relied on visual cues only. But this method was not accurate. Also, it was not reliable. This problem leads to the invention of rangefinders. Rangefinders measure the distance between an observer and the target. Knowing the distance allows a hunter not to miss the target. The first rangefinder product design was introduced by Barr and Stroud in the 1880s. It evolved later to sophisticated gadgets used for surveillance and surveying. The range of the objects is calculated by the line of the sight at both ends of the rangefinder (see the image below). If the angle is small, the object is located at far distances and if the angle is large, the object is located at a close distance. The new product development process continued and the optical technology emerged. 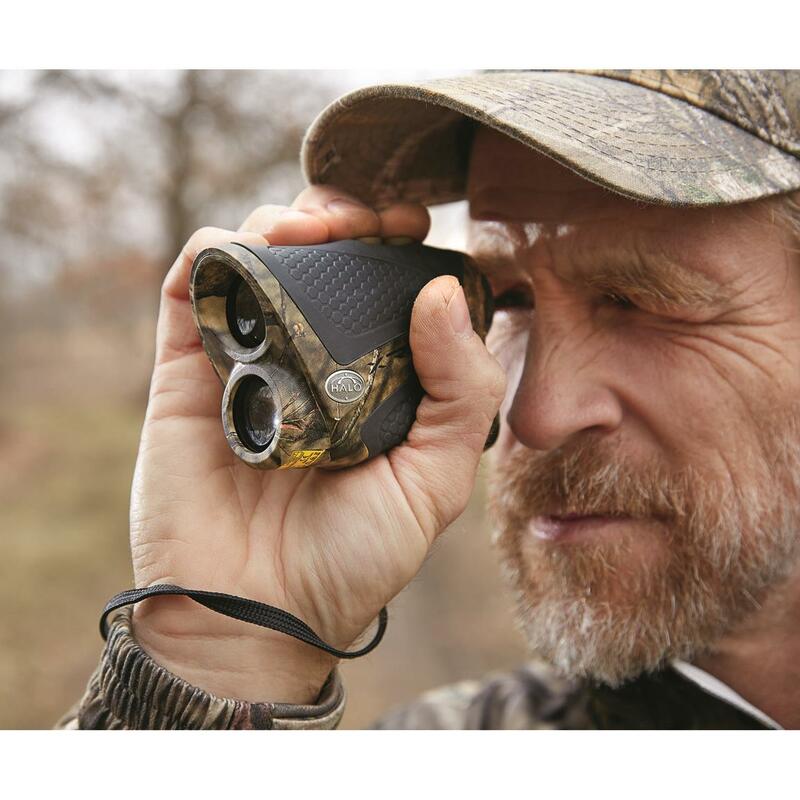 Many hunters avoid using bulky old-fashioned rangefinders and prefer laser alternative. The first laser rangefinder (LRF) electronic product design was developed in 1965. The device emits laser beams at the push of a button. Those beams bounce off distant objects and return back to the device. Where a high-speed clock measures the total time it took the beam to come back. And the range is calculated. We all know about bowhunting. It is a popular sport these days. Bowhunting is popular because of Holless Wilbur Allen compound bow product design. Traditional (recurve) bow makes a poor tool to hunt with since it has a limited range (20 yards). It takes a lot of time to master and is hard to draw and hold back. In the new product development process, Allen attached pulleys to the new ends. Many traditional bowmen resisted the idea at first. Allen also reached out to a technical editor to write a technical review of his new design. The editor agreed and sent the bow to Tom Jennings a bowman for the field test. Jennings was the first to recognize the potential of Allen’s design. He ended up in purchasing the intellectual property rights of Allen’s compound bows. From there, competitors followed by hunters took interest in the bow. And the entire market was born. In hunting, it is very important to hide. Stealth shooters are not only effective but also very difficult to spot. Military camouflage product design went mainstream due to Jim Crumley. He made a tree bark pattern on his work clothes, It helped him to better blend in with the hardwood. Many hunters saw his patented “Trebark” design and wanted one for themselves. Crumley then decided to commercially produce the camouflage suits in the 1980s. In the following years, Bill Jordan created his Realtree pattern. Whereas, Toxey Haas has come up with Mossy Oak. To this day familiar motif could be found on everything from firearms to furniture. In the early 2000s, Haas Outdoors Inc. (parent company of the Mossy Oak) purchased all ownership rights to Trebark®. Police officers Glen Bushee and Jon Neal designed their first tactical flashlight. Their New Product Development Process allowed the flashlights to distract and disorient a suspect. Later the officers established Brite-Strike Technology Inc. the company that develops new LED containing products for law enforcement and outdoorsmen. The latest addition All Purpose Adhesive Light Strips. The strip can be attached to the trees to mark the trail in the dark. Most green LEDs cannot be detected by animals. Ear plugs are also the simplest product design. People realized potential hazards of loud noises. Home-made earplugs made of cotton, wax, and clay were used by people as far back as 700BC. Introduction of conventional earplugs wasn’t until 1907. Max Negwer established Ohropax, the company was the first to make ear wax plugs commercially. Over a half a century later, Ray and Cecilia Benner invented the first moldable earplugs. Since then ear protection technology has come a long way. Sometimes the danger comes from what you can’t hear as opposed from what you can hear. Conventional earplugs would not make you safer at the construction site. A single gunshot product design can easily reach 140 dB. Which can also result in permanent hearing damage. While hunting it is important to protect your hearing. He must also be able to hear the tiniest rustle a hundred yards away. Luckily, hearing protection technology available today can block out harmful noises. While allowing full hearing perception. So this was all about hunting inventions that were also worth mentioning. As you can see it takes time to refine ideas. The same is true for any product. Keep working hard and also supporting your team. This way you can also make a long-lasting product.